Every Friday this summer I'm going to treat you to a blast from the past. I've chosen some of the best recipes from the past few years to highlight because I love making them over and over again. Enjoy! I originally made this recipe to celebrate Grab Some Nuts Day because, how could I resist! 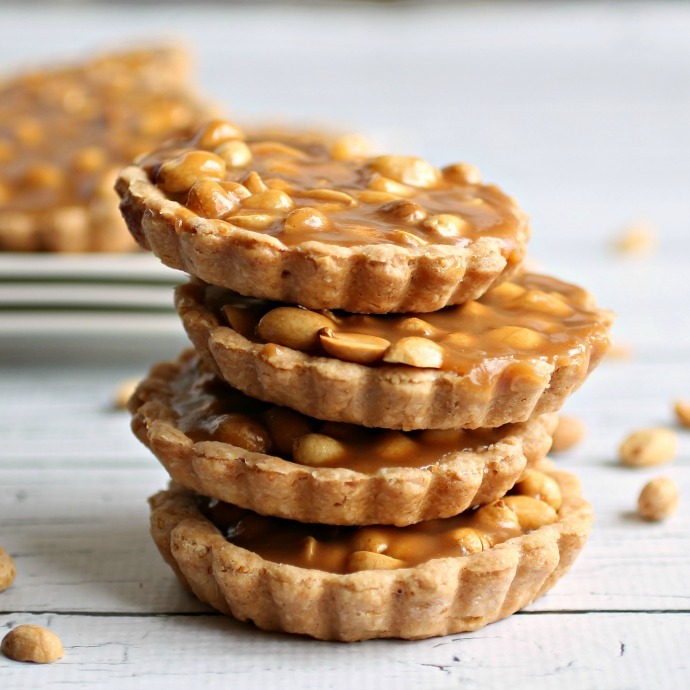 But I don't need any special reason to love the combination of salted caramel and peanuts. In this case, there are also peanuts in the pastry crust for a full on nutty experience. I could eat that whole stack of mini pies in a sitting! Click here to read the original story and get the recipe. OH MY GOSH! These look irresistible!